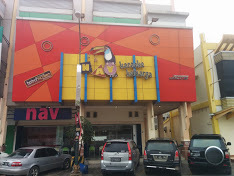 Since established in 2000, NAV Family Karaoke already quickly established themselves as a leader in entertainment karaoke families in Indonesia. NAV Family Karaoke currently has more than 80 branches spread all over Indonesia, and is still growing rapidly to provide the best karaoke entertainment for all Indonesian citizens. With the modern design of the room and is equipped with a sophisticated sound system, as well as using touch screen technology, NAV Family Karaoke provide tens of thousands of songs on your selection, start the song Indonesia, west, mandarin, spiritual, japan, even folk songs. Not only that, to MEET objective as a complete family entertainment and fun, NAV Family Karaoke in cooperation with BIMA Restaurant to present a diverse selection of delicious food, clean, and healthy, which is ready to be delivered when you karaoke. NAV Family Karaoke is always an opportunity to work and do business. Please send your questions to franchise@nav.co.id for more information. NAV Family Karaoke make your family karaoke experience not to be forgotten.